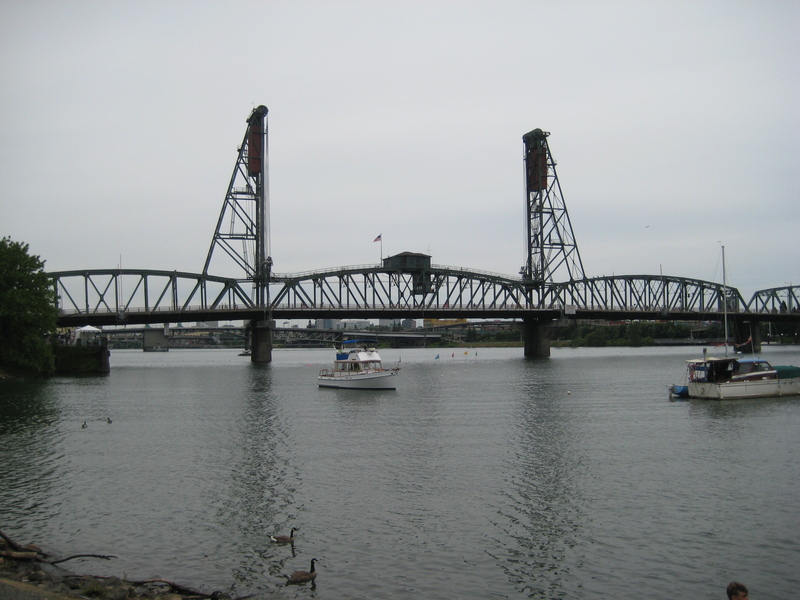 One of the things I love most about Portland is the Willamette River that runs through the city, and the bounty of beautiful bridges that span the river, reaching across like arms made of steel. There is a uniqueness to each bridge, which creates an art gallery of massive metal sculptures. 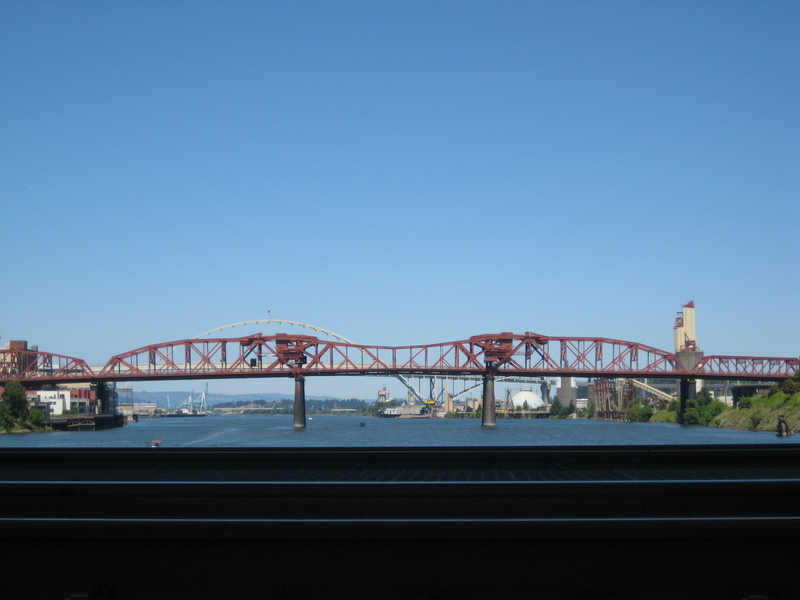 They vary in color; ranging from the gun-metal black of the Steel Bridge, to the brick red of the Broadway Bridge, or the celery green of the Fremont Bridge. 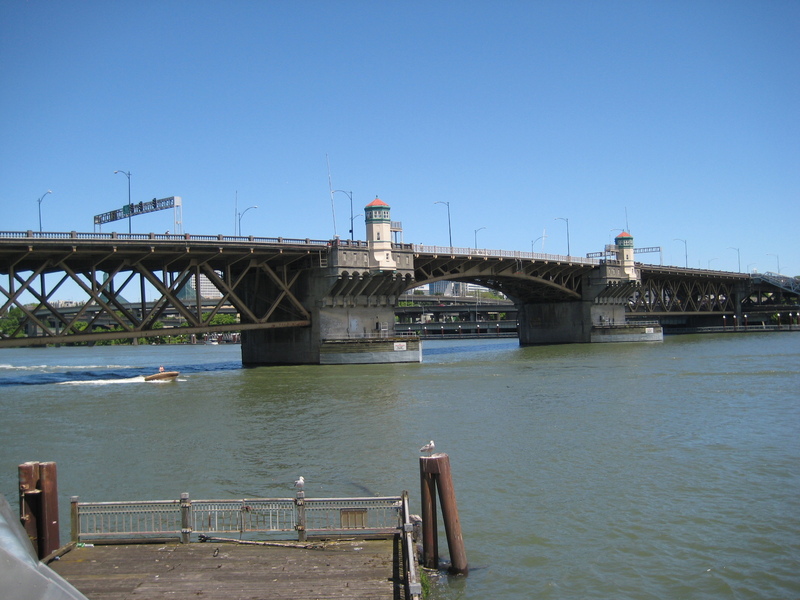 They vary in shape; the Fremont Bridge arches in a back-bend, the Broadway Bridge rolls in waves like the ocean, and the St. Johns Bridge pays tribute to her sisters the Brooklyn Bridge and Golden Gate Bridge. Each is lovely in its own way, and I try not to play favorites. 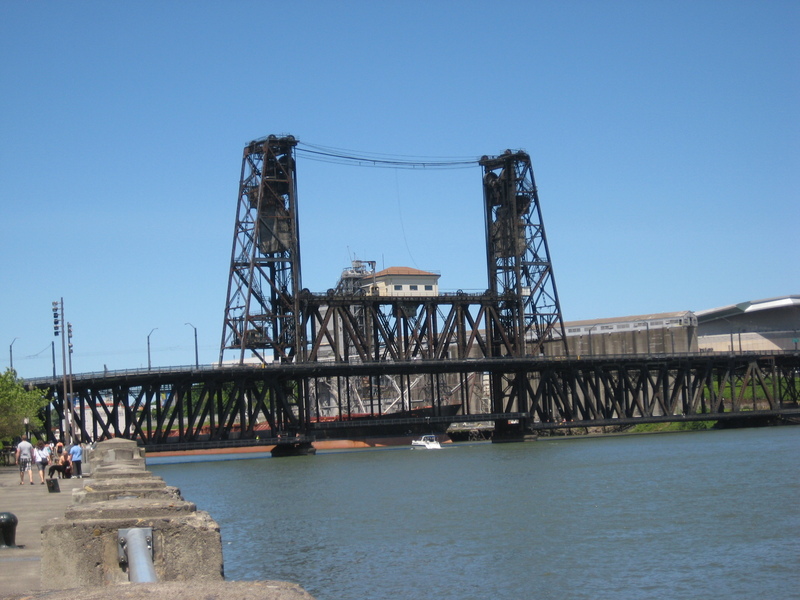 But the Steel Bridge, with trains above and trains below, as well as a walkway that is far below the bridge traffic, is my bridge of choice when crossing the Willamette on foot. 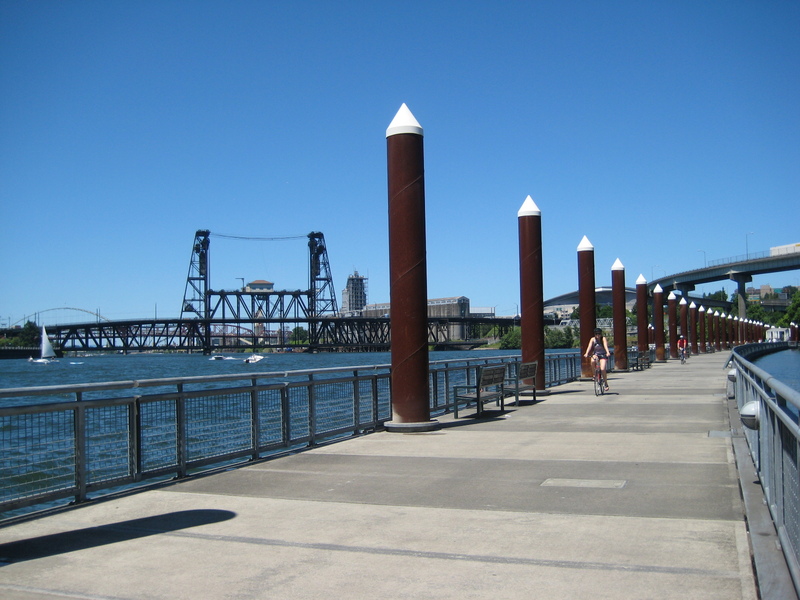 If you ever visit the lovely city of Portland, be sure to walk across the Steel Bridge from west to east, and take a walk along the Eastbank Esplanade. I promise you will not be disappointed as you gaze up and down the river, able to view the art crawl of bridges.